FTL133 is a woven non-asbestos friction material manufactured from a solid woven cotton fabric, impregnated with special resins, to produce a strong, flexible material with a high coefficient of friction. 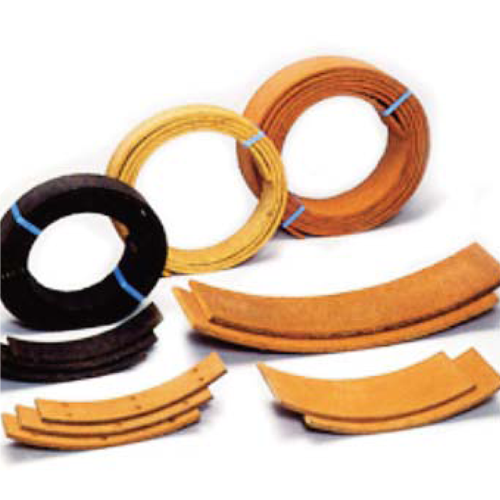 Suitable for dry running where a high coefficient of friction is required but where temperatures are not too high. Used on electro-magnetic brakes, domestic appliances, winches, cone clutches, hoists and textile machinery. May be made more flexible to aid fitting by heating in an oven at 100°C. Not recommended for oil immersed applications. The best eCommerce software by ShopFactory powers P1089. All-in one eCommerce and shopping cart software.